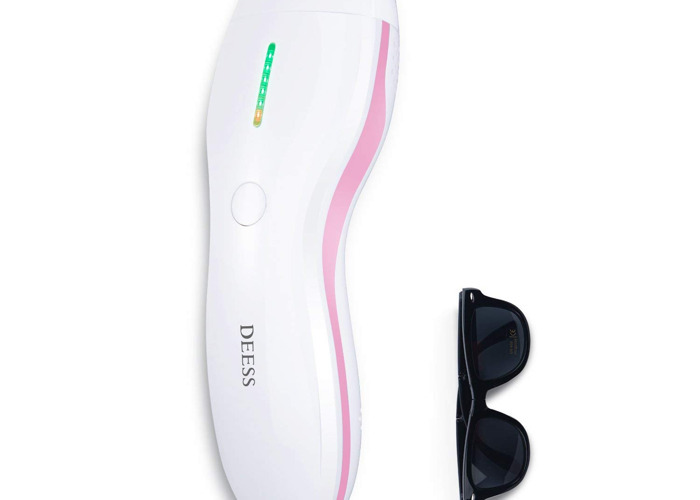 DEESS Hair removal device. Comes with instructions and glasses. It's recommended to be used on a weekly basis for up to 12 weeks to see a 90% reduction in hair growth. Not recommended for used on black skin. Not recommended for grey, light blonde or strong ginger hairs. I am happy to share my own experiences with the product if you wish.